Teacher Laura with a composite class from ages 6 to 10 in Beijing. What a gorgeous start to the Lunar New Year! On February 10th, fourteen children from ages 6 to 10 participated in a Spring Holiday Drama Camp organized by the company 北京卓美教育有限公司 who represents Helen O' Grady Drama Academy in China. Their slogan - "走进美妙的戏剧花园" welcomes parents and students to explore with the teachers in their drama garden and discover the many characters that come to live in it. I was delighted to be a part of the Lunar New Year celebration (Yuan Xiao Jie) filled with the booming sound of firecrackers in the air and the brilliant fireworks display in the skies. To top it all - seeing happy students enjoy their classes "Drama Rocks" with their teachers. Today marks the entry of the Year of the Rabbit. All around the world, the Chinese celebrate their reunion with their families wishing one and all prosperity, good health, longevity, success and many more blessings. Having stayed in America for four years now, I miss the special Chinese salad dish most, a symbolic occasion where everyone gets an opportunity to toss the colorful salad representing hopes, dreams and success for the coming year. 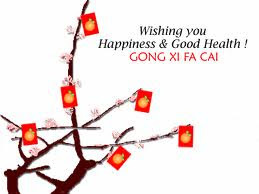 Many wishes to all of you, a fun dramatic successful year for both students, parents and teachers.